If you're looking for a super easy and delicious recipe, this Thai corn soup fits the bill. I mentioned a few times already about my restaurant meal that I successfully managed to recreate at home using my own homemade Thai curry paste and homemade coconut milk, and this is the last part. This corn soup is seriously simple to make but the taste belies that. To make it more filling, feel free to add some rice noodles to your bowl, but I didn't bother. This recipe doesn't fill the criteria to be Paleo, as corn is a psuedo-grain and and hence disallowed on the Paleo diet... And because I made it with real chicken broth, it isn't vegan, but I'm sure it could easily be made vegan with vegetable broth and still taste amazing. Less healthy, but vegan and it would be amazing- using vegetarian chicken consomme soup mix broth. 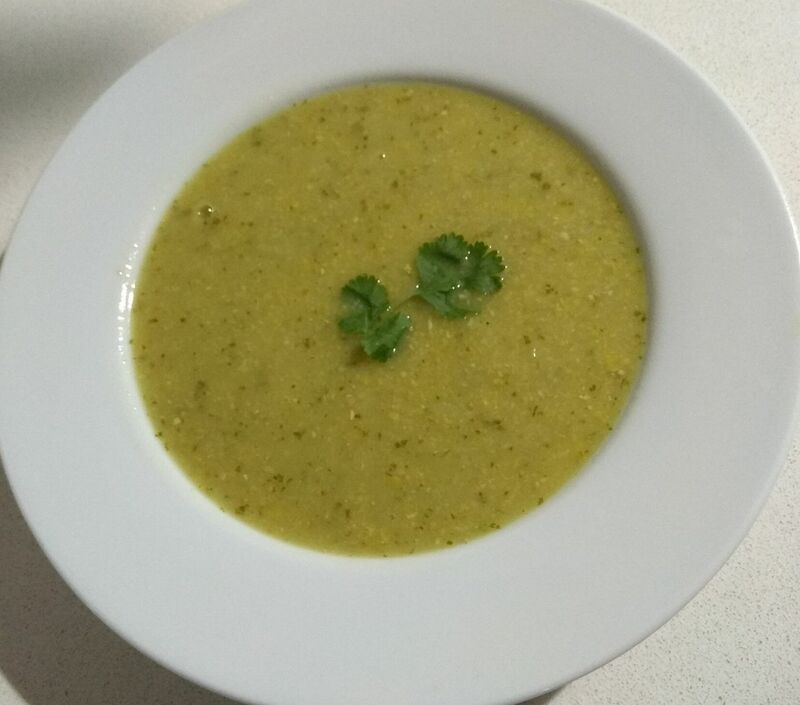 As is nearly everything I make, this recipe is gluten free, and it is quite frugal to make if you use homemade coconut milk and homemade green curry paste (though that does make it a little less easy to prepare). I hope you like this recipe- it was a huge hit with my family. 1. Blend the corn in a food processor or blender with a little bit of the coconut milk and the green curry paste. Stop when the corn is either fully smooth or slightly chunky, depending on your preference. 2. Add in the rest of the ingredients other than the rice noodles. 3. If you want it a bit thicker, add the starch, and bring to a boil, stirring the whole time, cooking until thickened, a few minutes after it comes to a boil. 4. Serve with rice noodles, if desired. Ever have corn soup? What type was it? Thai or some other style? How do you make your corn soup? Are you a fan of Thai food? Does this look like a recipe you'd try?